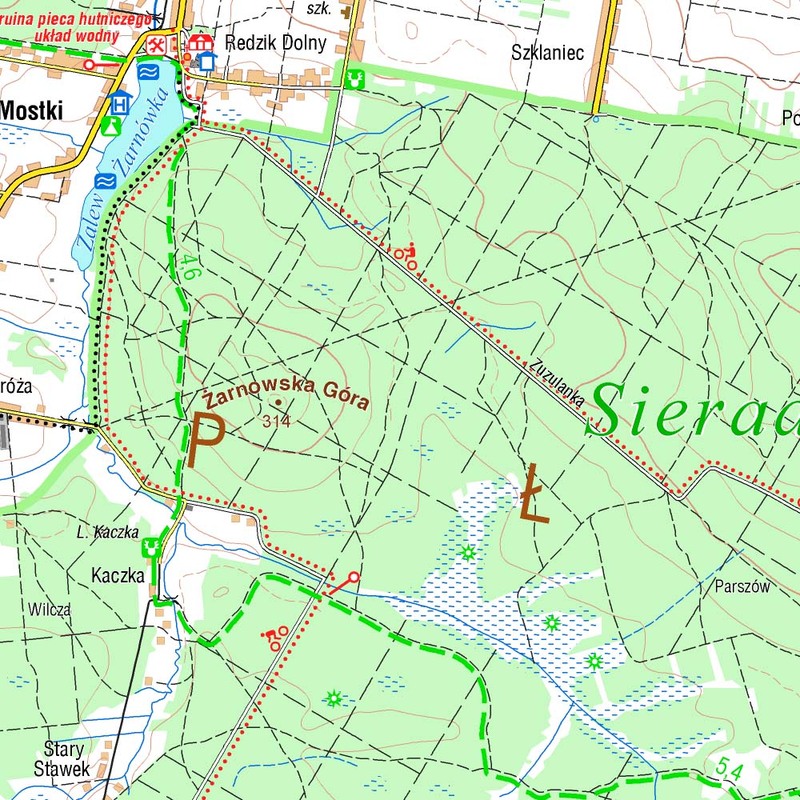 The map depicts the oldest mountain range in Poland - The Świętokrzyskie Mountains (Góry Świętokrzyskie) - situated in central Poland, near the city of Kielce. Together with the Jura Krakowsko-Częstochowska, the mountains form a region called the Lesser-Poland Upland. The central part of the mountains now contains the Świętokrzyski National Park.